Some very clever mummy has thought of the idea of bringing together on one platform all the information about all the best kids’ activities aswell a system for booking them directly from the website. Here’s the press release. Please do support them. I wish that this had been around earlier! 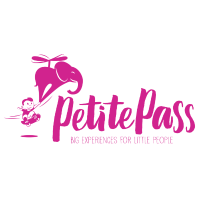 (www.petitepass.com) is a free online marketplace that is fundamentally changing the way families find and book top quality activities. This new platform serves as a one-stop shop for families who want to manage all of their activities via one centralized portal. For family activity providers, PetitePass streamlines marketing and logistics, allowing them to more effectively market their services and reach the right families across London. The founding team, a group of technology and concierge veterans who are also parents, is very excited to create a community of families and businesses who are truly passionate about family activities. They look forward to their platform simplifying logistics for all parties involved and offering families access to amazing adventures that would not have been discovered before.